Shop for new casegoods in Houston, Texas. Cherryman Industries Ruby Series furniture offers high end executive appeal. 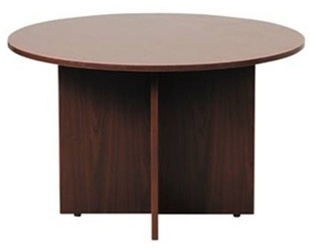 This 48″ round top conference table boasts a rich paprika cherry finish that’s sure to impress. 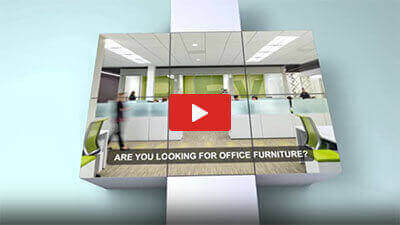 Choose from a wide variety of matching Ruby collection components including desks, reception stations, and storage products to compliment your accenting office areas. 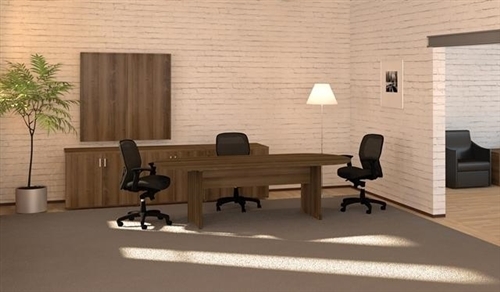 herryman Industries Amber desks are a top choice of interior design teams and industry professionals. 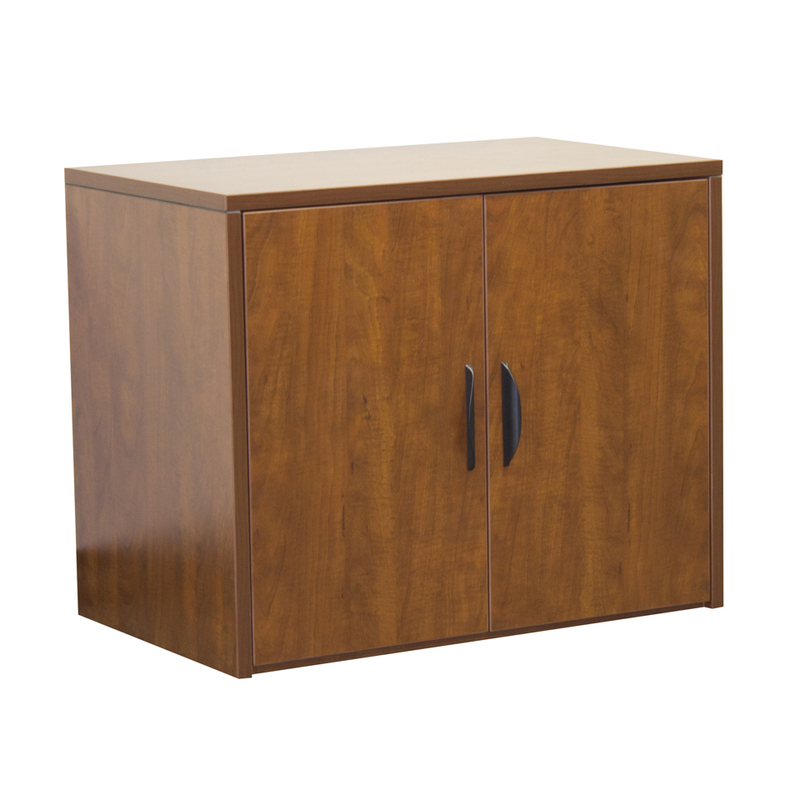 This L shaped credenza desk configuration is available in 4 popular finishes and includes 2 storage pedestals. This stylish 71″ reception desk shell from the Cherryman Industries Amber collection is perfect for smaller guest welcoming areas. 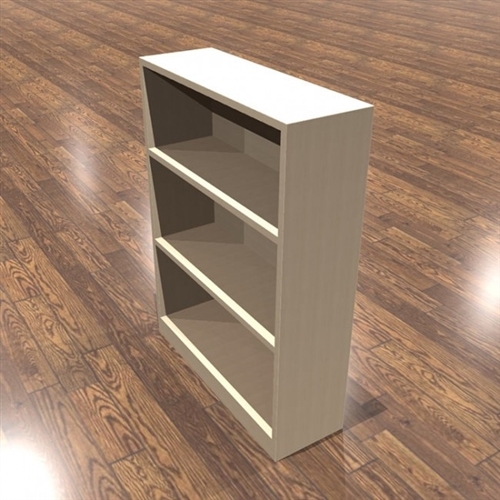 Matching storage components and additional finish options available. The A721 Conference Table from Cherryman’s Amber Collection is available in four finish options for aesthetic versatility at an affordable price. 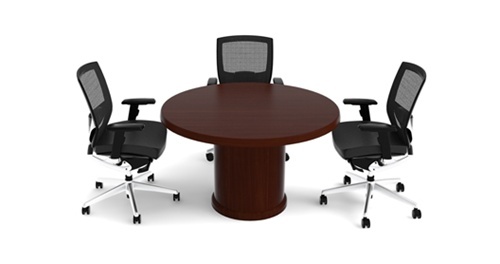 This popular conference table is a top choice amongst interior design teams and consumers alike. The A828 Bookcase from Cherryman’s Amber Collection makes a great gift for book-lovers in both home and office environments. The A828 is available in four stylish finish options to easily match workspace decor at an affordable price. 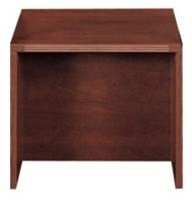 The AM-371N model desk from the Cherryman Amber Collection features drawers for easy storage of office supplies. 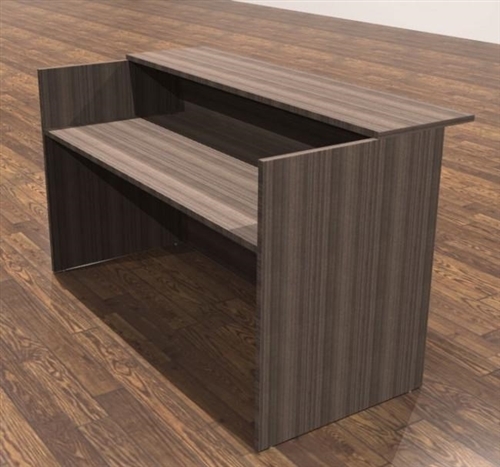 This simple straight front desk is available in four stylish finish options that look great in both home and business office applications. The stylish A131 occasional table from the Cherryman Industries Amber Collection looks great in both home and business environments. Available in four sophisticated finish options, the A131 table offers aesthetic versatility at an affordable price point. The A720 Conference Table from Cherryman’s Amber Collection is available in four stylish laminate options to easily match office decor at an affordable price. 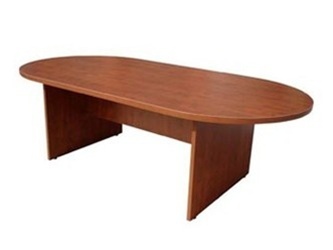 The A723 table from Cherryman’s Amber Collection makes a great addition to any conference room. The A723 model racetrack boardroom table is available in four stylish finish options to easily match conference area decor at an affordable price. The Cherryman AM-353R U-Shaped executive office desk is an excellent solution for home and business furniture applications. It is available in Maple, Mahogany, Cherry, and Black Cherry. Be sure to shop the entire line of Amber collection office furniture by Cherryman to see the matching pieces! Unit Ships in 5 Total Cartons for easier off load! The Cherryman Amber Collection U-Shaped Desk Configuration is a wonderful addition to both home and business furniture applications. It is available in Maple, Mahogany, Cherry, and Black Cherry finishes to easily and stylishly compliment existing decor.